BOOM. The big daddy of the month is here for International Merlot Month. It was the first to be delivered too and I squealed like a six year old girl opening a package of Shopkins when it arrived. Now the day has come to finally consume the heavenly nectar within. 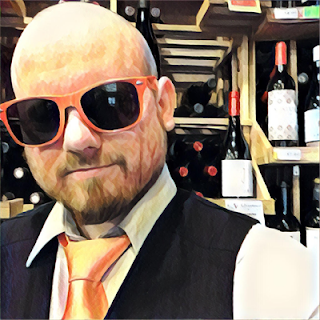 Should I even do a thing about the winery? I mean, it's flipperin' Duckhorn. But I suppose I should, right? Ugh. Alright. I'll delay the drinking. Duckhorn was founded in 1976 by Dan and Margaret Duckhorn and now they're well respected and legendary and I just want to drink this wine goddamnit, okay? The 2013 Napa Valley Merlot is composed of 88% Merlot, 7% Cabernet Sauvignon and 5% Cabernet Franc. 100% of it was aged for 15 months in French oak, 25% and 75% neutral. The ABV is 14.5% and blah blah blah. Let's get this going! 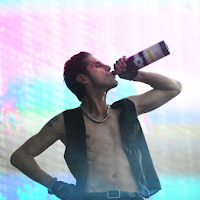 I'm cranking Jane's Addiction and I'm about to get down on this wine like it's a bag of heroin and I'm Perry Farrell. By the way, I've seen them live and that man is surrounded by an enormous aura of charisma. Unbelievable. The color is your classic dark ruby red, and almost black in its center. The nose is bold and alluring with aromas of cherry, prune, vanilla, cinnamon, brand new cedar chest, and the occasional flick of black table pepper right to the back of your nostrils. The ethanol vapors are feeling the burn, which I love. It's medium bodied with solid structure but still smooth and lush. 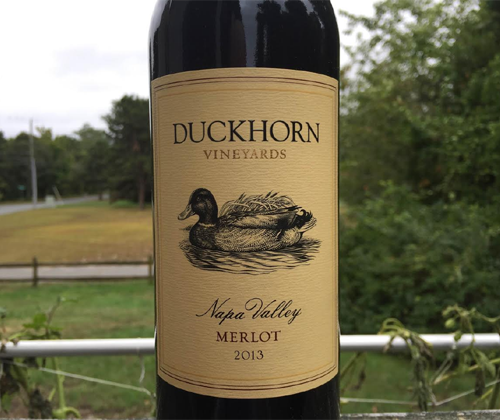 There's flavors of blackberries, plums, mint and (realizing it after reading Duckhorn's own notes) pencil lead. It finishes with plums, mint, and some tannin that I'm sure will calm down tomorrow when I go to enjoy the rest. This is an outstanding bottle of wine but, as you know, in the end I go by the price you pay for the quality you get. The higher the price, the more judgmental I have to be. So... for the $54 admission fee I can't give it a perfect score as much as I adored and appreciated every sip, because it doesn't pull a Usain Bolt and humiliate its competition of the same price point with its performance. But I do recommend it if you're in the market for a $54 Merlot.